Here is what I've been up to this past week. I checked out a few shows this past week as part of Sled Island Music Festival . I was first introduced to Sled Island Music & Arts Festival two summers ago by my good friend, Phil when he randomly invited me to a block party in East Village to check out one of his favorite artist perform and I have been hooked ever since. I was intrigued by the unique fashions( a mix of hipster meets rock) of the attendees and the positive vibes from everyone. Sled Island Music & Arts Festival was born in 2007 by Zak Pashak. 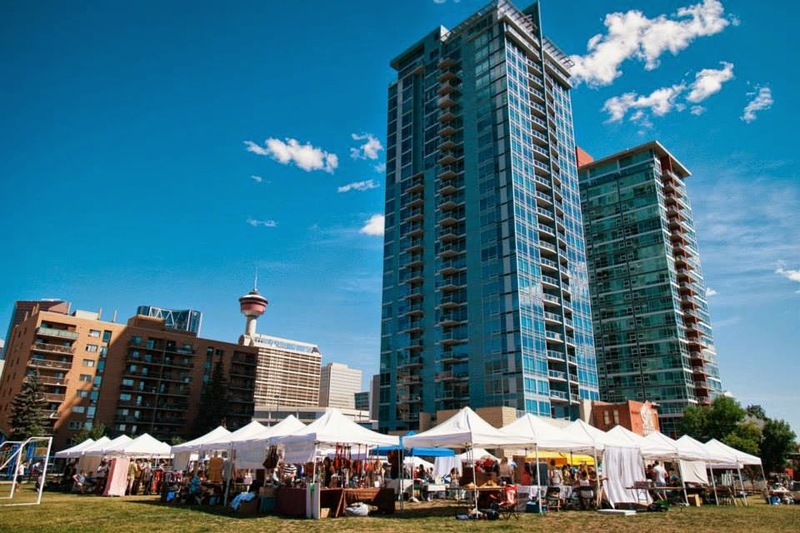 Inspired by Pop Montreal, Zak felt that Calgary was the perfect place to host such an event due to the wide variety of artistic venues in the city and from that, Sled Island was born. 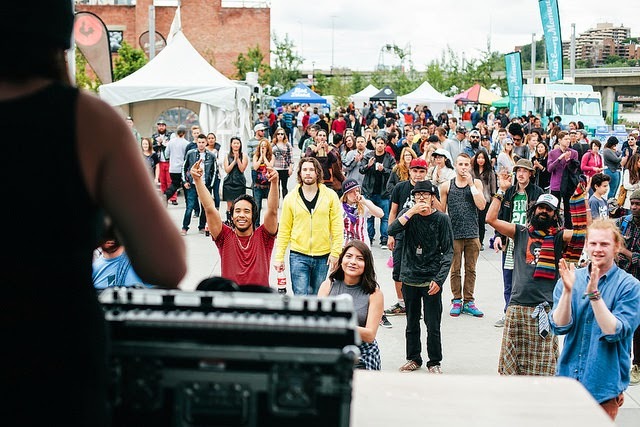 The goal of Sled Island is to step past barriers that can exists among different fans of different music, different age group and different businesses and give them a place to hear and share experiences with each other with music as the common factor. This 5 day music and art festival will feature over 250 bands plus comedy, film and art in 30 venues all around city. 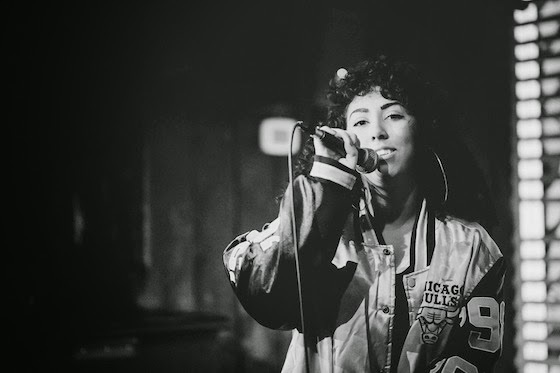 I stopped by Local 510 on Wednesday night to check out local rapper Ayoo Angie perform. Angie has been making waves in the music scene in Calgary in the last year and is someone you want to keep your eyes on. She has a swag about her that is unique and undeniable and an amazing personality to match. 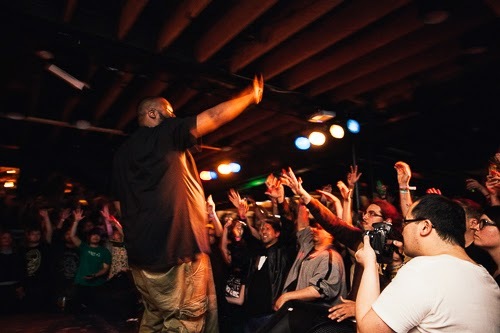 Atlanta rapper, Killer Mike also performed at Republik on Thursday. Talk about raw talent and ingenuity, Killer Mike kept the crowd engaged and moving all night. Thursday afternoon, I stopped by East Village for the block party and snapped some stylist folks while enjoying some great music and shopping from local brand likes Camp Brand Goods and Tink Jewelry. My dear friend, Frank, was in town visiting for the first time, so we headed out to Banff on Friday for a day of sightseeing and relaxation. Even though I have been to Banff more times than I can count, It never gets old and I somehow discover new spots and things to do.